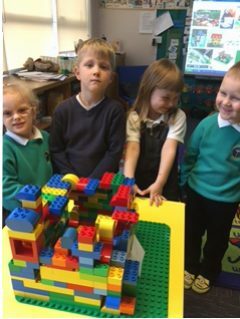 The children worked together to build a Lego house for the pigs. Another lovely abode for the pigs. We worked as a team to build a house for the pigs. 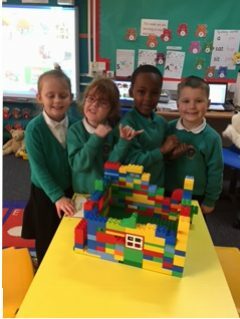 A few weeks ago P1C were learning about different types of houses. They read the story of the three little pigs and made houses from the story. The children worked in small groups. 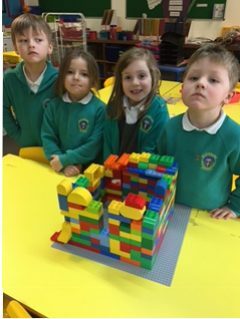 They used Lego to build their house of bricks.